Georgia offers aspiring communications experts several options for master's in communications programs. Georgia's schools offer primarily on campus programs, with one school, Brenau University, offering an online program. Upon graduation, communication experts will be well prepared to further their academic study of communication or to begin their careers in one of the state's major industries, such as agribusiness, energy and technology, tourism, entertainment, aerospace, financial services and automotive. Keep reading for more details about master's in communications programs available in Georgia. Georgia State University in Atlanta offers two master's-level communications programs as on campus programs. What to Know: The Master of Arts in Mass Communication program focuses on the advanced study of international media, journalism, strategic communication and audience studies. The Master of Arts in Human Communication focuses on the advanced study of rhetoric and interpersonal communication. Both programs prepare students for professional careers in communication or to further their education in a Ph.D. program following graduation. What Does It Cost? : Graduate level tuition and fees for Georgia residents is $4,574 per semester based on a 9 credit hour schedule, and $12,323 for non-residents. Anything Else? : Students are admitted to the program in the fall and spring semesters. The application deadline for fall is March 15 and the application deadline for spring is November 10. Kennesaw State University offers a Master of Arts in Integrated Global Communication in a traditional on campus format. What to Know: The Master of Arts in Integrated Global Communication program is a professional-oriented, 30-credit hour, four semester program that requires students to study communication abroad. What Does It Cost? : Graduate level tuition and fees for Georgia residents is $3,613 per semester based on a 9 credit hour schedule, and $10,408 for non-residents. Anything Else? : The application deadline for a fall program start is June 1. The University of Georgia in Athens offers a Master of Arts in Journalism and Mass Communication as an on campus program. What to Know: The Master of Arts in Journalism and Mass Communication is designed to provide advanced preparation for communication careers in advertising, journalism, health and medical journalism, public relations or for further graduate study in communication-related fields. The program allows students to concentrate their studies in advertising, journalism, health and medical journalism, mass media studies or public relations. What Does It Cost? 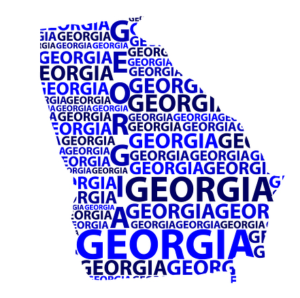 : Graduate level tuition and fees for Georgia residents is $10,970 per academic year, and $26,958 per academic year for non-residents. Anything Else? : The application deadline for the program is March 1. Valdosta State University offers an on campus Master of Arts in Communication degree program. What to Know: The Master of Arts in Communication program focuses on the skills needed to identify, engage and influence audiences in the digital age, with course work in communication theory, audience analysis, engagement strategy, media content and effects, data analytics, and visual and integrated communication. What Does It Cost? : Graduate level tuition and fees for Georgia residents is $3,314 per semester, and $9,146 per semester for non-residents. Anything Else? : The early admission deadline for the program is April 30, and the regular application deadline is June 1. Brenau University offers a fully-online Master of Arts in Communication and Media Studies program. What to Know: The Master of Arts in Communication and Media Studies program includes coursework in advanced communication skills and the media industry. The program is designed to prepare students for a career in the film and television industry or as a communications specialist at any number of organizations. What Does It Cost? : The base tuition fee for graduate level tuition in the School of Business is $685 per credit hour, which does not include additional university and course fees. Anything Else? : The program can be completed in as little as 12 months of full-time study.